With all the events and happenings going on in Nashville every weekend of April, it’s the perfect opportunity for a staycation in Franklin! Come a little further south for the weekend to enjoy a slower pace, or at least slower than Nashville’s pace. Don’t worry, there will still be plenty to do in Franklin, and this month’s guide to downtown Franklin will show you how to make the most of your weekend staycation! ART! Franklin Art Scene – A free, monthly art crawl that takes participants through downtown Franklin’s historic buildings and celebrates Williamson County’s unique artistic talent! From 6 – 9 p.m. on April 5, take a walk and explore the art of downtown Franklin. PRESERVE! 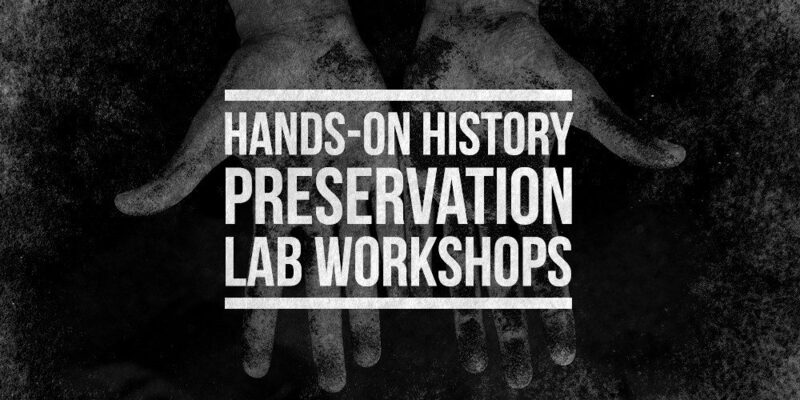 Hands on Preservation Lab – Check out the Franklin Masonic Hall’s Preservation Lab! 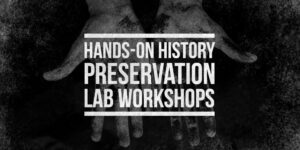 They are an active preservation site, and their lab offers visitors a hands-on experience to gain a better understanding of how preservationists’ study and restore 19th century buildings. Participants will also learn building techniques from the time period. The April 6th lab from 1 – 3 p.m. will be all about masonry. Attendees will have a chance to make handmade bricks! This lab is limited to 20 people. Reserve your spot at info@HFMHfoundation.Org. PLAY! Easter Egg-stravaganza – If you have little ones, The Purple Butterfly is the place to be on Saturday, April 13! From 10 a.m. – 12:30 p.m. visit The Purple Butterfly for their annual Easter celebration. 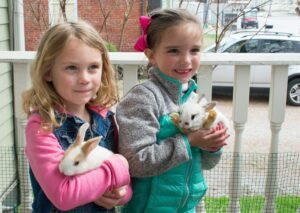 There will be an Easter Egg Hunt, door prize drawings and a live alpaca and bunnies to play with. Also in attendance, Alice in Wonderland & the White Rabbit. They will have Easter crafts and refreshments. EXPLORE! Teacher Appreciation Day – Have you been to the Carter House and Carnton? If you are a teacher, April 13 is free admission for you! From 9 a.m. – 5 p.m. show your Teacher ID to get a free admission to the Classic House Tour at Carter House and Carnton! Even if you aren’t a teacher, you don’t want to leave Franklin without seeing these two gems! SHOP! There are so many wonderful places to shop in downtown Franklin. If you are looking for antiques, be sure to check out Riverside Franklin and Scarlett Scales Antiques. For home, gift and vintage items, visit Avec Moi. If you are more of a boutique lover, you will want to head over to Johnnie Q for jewelry, accessories, home décor and gifts for men and women and Boutique MMM for a “candy store” of fine ladies shoes. For the culinary queens and kings, Savory Spice Shop is sure to impress. EAT & DRINK! Mafiaoza’s – Spring has finally sprung…so let’s bring on those refreshing spring cocktails! 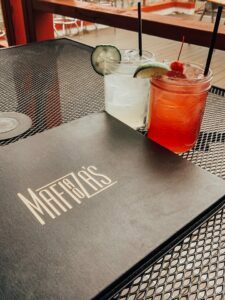 Join them for happy hour from 4 p.m. – 6 p.m. on Friday nights. Enjoy double liquor pours on well drinks, 2 for 1 bottled and draft beers and a 9 oz. glass of wine for a 5 oz. price! On Sunday, they have 2-For-1 Draft and Bottled Beers. Their pizza is great too! Check out their menu, here. FESTIVAL! 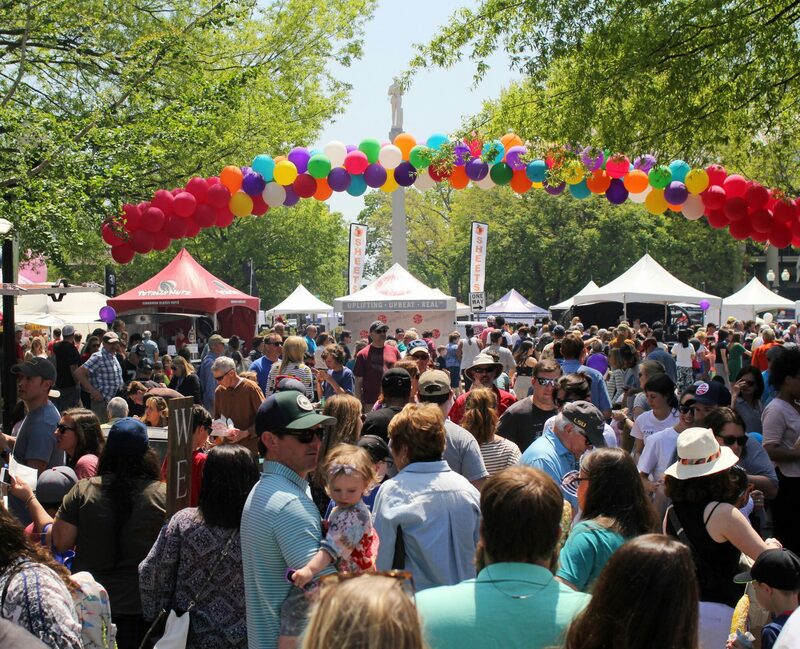 The main event that you do not want to miss this April is The Heritage Foundation of Williamson County’s 36th Annual Main Street Festival, Presented by First Tennessee Bank! 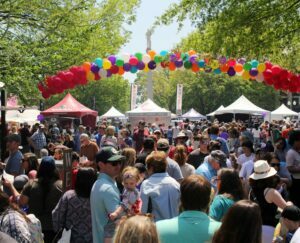 The festival will take place Saturday, April 27 – Sunday, April 28. The event will be held from 10 a.m. – 7 p.m. on Saturday and from 11 a.m. – 6 p.m. on Sunday. One of the of the largest events in the Southeast, the festival is expected to draw a crowd of about 100,000 for a fun-filled weekend of music, arts and crafts, food and children’s activities. For more information on the 36th Annual Main Street Festival, Presented by First Tennessee Bank click, here. Let us know how you spend your April in downtown Franklin! Tag all your social posts with #americasfavoritemainstreet and #dwtnfranklintn when out and about in downtown Franklin! To stay up-to-date on all the happenings of downtown Franklin, sign up for our monthly email, and be sure to connect with us on Facebook and Instagram!